If you’re not familiar with home inspections, then you might have a lot of questions about what gets inspected, how thorough the inspectors are, why you even need one, and what you can expect if you’re walking with an inspector through the house you’re hoping to buy. There’s a lot to know about home inspection, and your questions deserve answers. Here they are! A home inspection is an event that is basically exactly what the name implies: A home inspector walks through the home, looking at specific elements and features of the house, and then provides a report about anything that needs to be repaired. Why would I want a home inspection? An inspection is a good idea anytime you want a full rundown on any issues or problems with your house. If you’re already living there, it’s a lot less necessary than if you’re buying the home — when you will most definitely want an inspector to check for any potential red flags. They’ll be your problem after closing, and big issues can sometimes affect the insurability of your house (which, in turn, affects your loan eligibility), so home inspections are most common after an offer is made on a house but before the closing finalizes the deal. What does the home inspector look at? There are six essential parts of an inspection that you can expect every inspector to hit. They are the roof and attic, the basement and foundation, the plumbing, the electrical setup, the heating or air conditioning systems, the interior of the house, and the exterior of the house. Depending on where you live and what common problems tend to manifest in the homes, you might also want to think about hiring a pest inspector, a sewer line inspector, or even ask about an engineering report to evaluate the home and plot’s structure and stability. And in areas where radon is prevalent, or where there’s a lot of humidity, you may also want to ask about radon or mold testing (some home inspectors do this as an add-on part of the package). The price of the home inspection is going to depend on the size of the house. You can typically expect to spend around $300 on a home inspection, but smaller properties (less than 1,000 square feet) might cost only $200, whereas larger homes (more than 2,000 square feet) cost upwards of $400 to inspect. Ask an inspector or a real estate agent in your area what they usually cost to get a closer estimate. Do you need an inspector for a new house? It’s always a good idea to get a home inspection — even in a brand-new house. You don’t want to find out there’s a problem after you move in, and an inspection is the best way to figure that out. 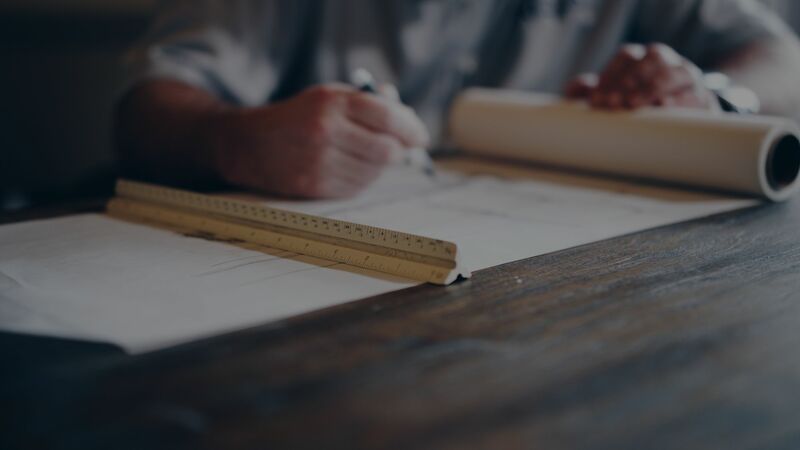 So follow the “trust, but verify” process with your builder: Trust that they did their very best to get your home in the best condition possible … then verify that they did just that with an official inspection. Home inspectors are licensed by each state, and there are slight differences in how they are certified and how they maintain their license from state to state. Your real estate agent should be able to explain the policies in your state, or point you to where you can find them. Should you attend the inspection? It’s usually a smart idea for the buyer to attend the inspection in case they have questions for the inspector or want to follow up on any notes the inspector makes. Many inspectors today use new technologies that allow them to include photos of any issues or potential problems, but there’s nothing like being there in person to better understand exactly what’s wrong and how to fix it. What happens if a problem is uncovered? If everything is not in good shape with the home you’re about to buy, there are options. Usually when this happens, the buyers and the sellers start negotiating again — this time, to figure out who’s going to pay for the necessary repairs. Buyers might be able to ask for some money to be knocked off the final sales price to accommodate for the problem, or sellers might decide to go ahead and fix it before closing. If everyone can come to an agreement that suits everybody, then the sale can move forward. Can you get out of a contract if a problem is revealed? Most contracts to buy a home have an inspection contingency, which is hugely important for the buyer. The inspection contingency stipulates that the buyer can bow out of the contract if there’s a big problem uncovered by the inspection, which typically motivates sellers to make sure everything is in good shape. So you’re not necessarily locked in for life after you make an offer and it’s accepted; make sure you talk to your agent about inspection contingencies. In most cases, the inspection contingency in the contract will give you an out if you need it. What else does the inspector look at, if anything? Home inspectors are going to keep an eye out for any modifications to the house that were made since the last time it sold and make sure that the owner filed the appropriate permits to make that modification. If the inspector finds an unpermitted change or tweak to the house, that could also cause a problem with the deal, so it’s always a good idea to obtain permits for any changes you want to make to your home if they’re necessary in your city or county. That’s not something you want to scramble to do before closing! Can you use the inspection to negotiate on the sale? Yes, absolutely! Buyers make their offers on homes with the understanding that there may be some minor problems here and there, but that the home is generally in good enough shape to be sold. So depending on what the inspection uncovers, buyers can either ask for the sellers to fix any problems, or they can request that the sales price of the home be lowered to account for the flaws and tackle the issue whenever they take ownership. What isn’t included in an inspection? Inspectors are good — they catch a lot of problems with homes, and they’re usually locally focused enough to know exactly what to target — but there are some home features and extras that aren’t included in a home inspection. If it’s important for you to get an additional expert on the scene to check something out, it’s better to know upfront. So if you’re concerned about one or more of those with the potential home sale in your life, you may need to hire one or more additional inspectors to make sure everything is as it should be. How can an inspection affect your ownership? Not every homeowners’ insurance company requires a home inspection, but it’s become increasingly common in recent years. If you can’t provide them with a recent inspection that shows no major issues with the house, then you might not be able to secure insurance, and that could be a big deal if you need it for your loan.